MailPoet Add-on allows users to subscribe to your MailPoet lists directly from the Profile Builder Register and Edit Profile forms. You can add unlimited MailPoet Subscribe fields in your Register and Edit Profile forms. Users can subscribe or unsubscribe from individual lists at any time. 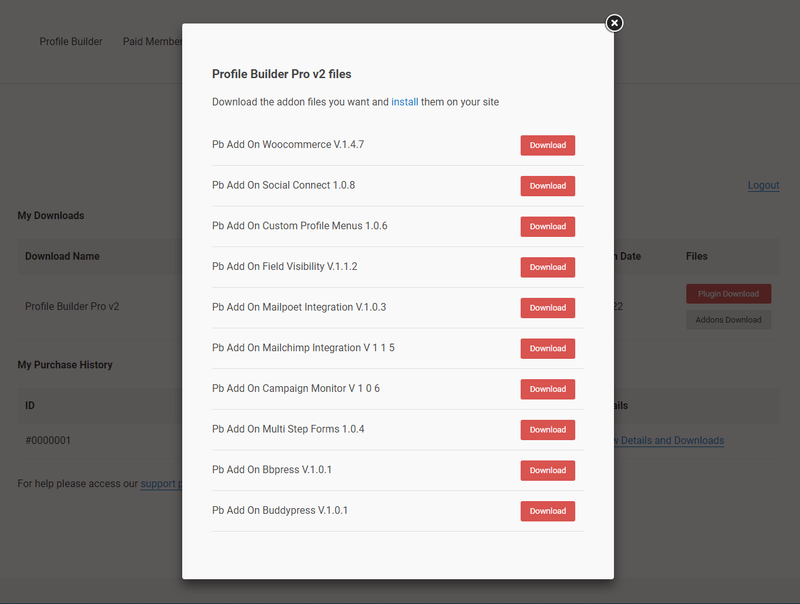 The add-on takes into account the double opt-in setting from MailPoet plugin. 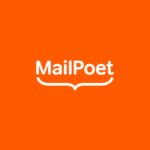 The Mailpoet Add-on is compatible with both MailPoet version 3 and the old MailPoet version 2. 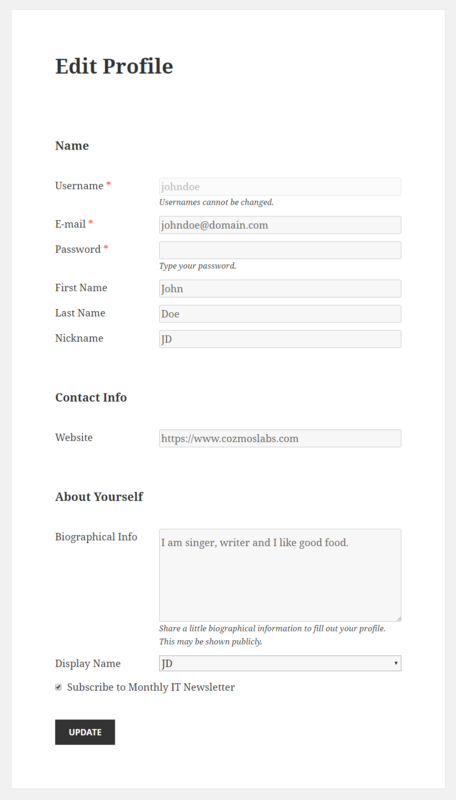 MailPoet is an Advanced add-on, available with a Profile Builder Hobbyist or Pro license only. Alternatively, you can install the MailPoet add-on by extracting the folder found inside the archive and uploading the entire folder via FTP to your /wp-content/plugins folder found inside your WordPress install. 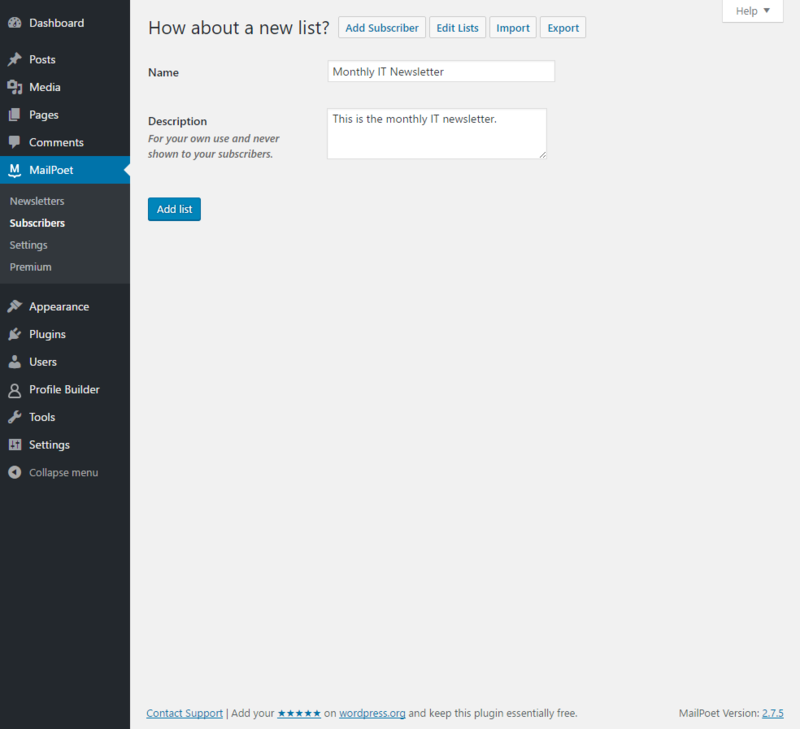 Adding the MailPoet Subscribe field to the Profile Builder form is made from the Profile Builder -> Manage fields tab. Here you need to select a list from your already configured MailPoet lists, so that users can choose to subscribe to that specific list. MailPoet Lists can be created if you go to MailPoet -> Subscribers -> Add List. 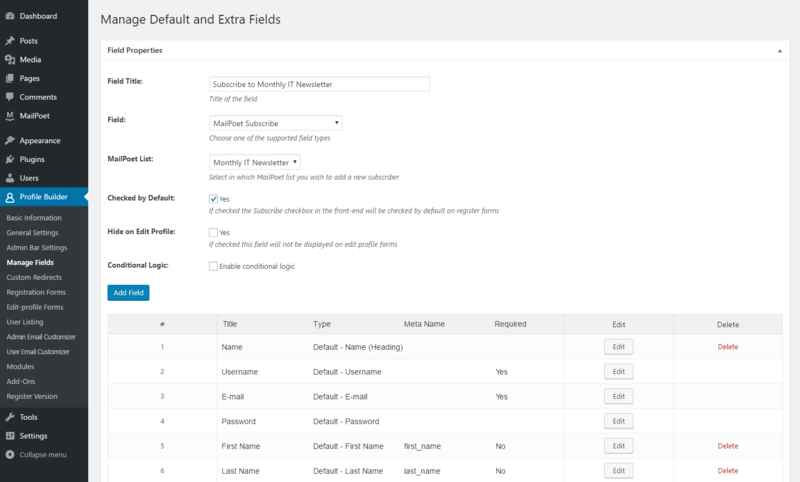 You can add an appropriate field title, decide whether the field is checked by default or if to hide the checkbox on the Edit Profile forms and also you can set a condition logic rule. When you are done click Add Field. 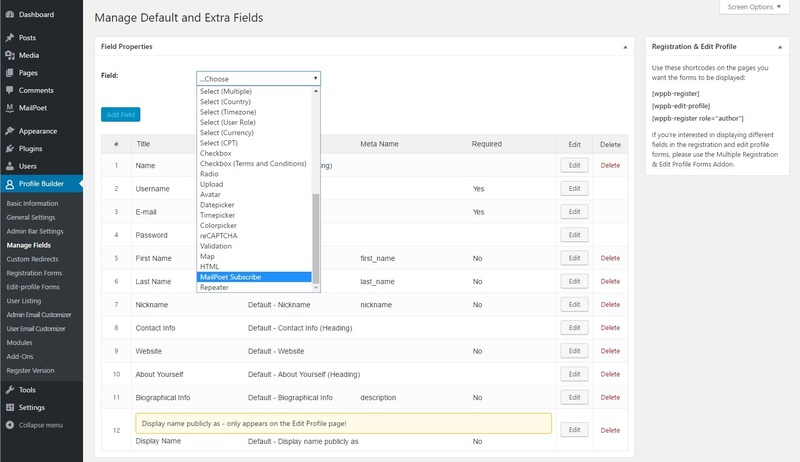 After we add the MailPoet Subscribe field in Profile Builder -> Manage Fields we can see it in our Registration form. The checkbox “Subscribe to Monthly IT Newsletter” is checked by default as we previously set it up. 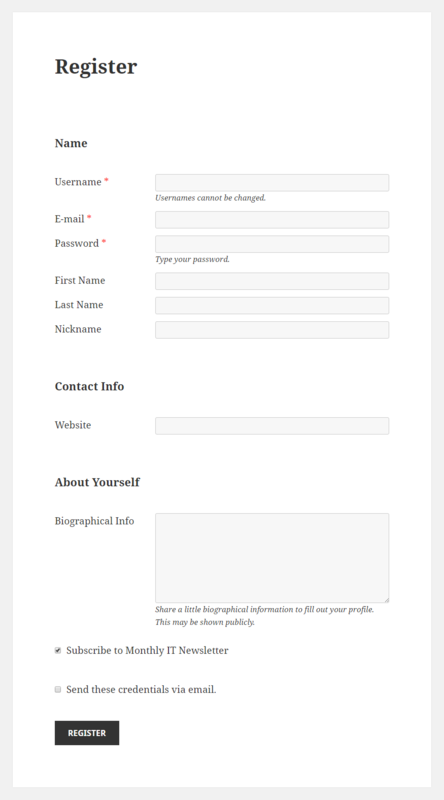 The MailPoet Subscribe field can be placed on Edit Profile forms too, allowing users to subscribe to new lists or unsubscribe from existing ones. MailPoet is an Advanced add-on, available only with a Profile Builder Hobbyist or Pro license.